Apartment in closed condominium with swimming pool. Are 10 fully furnished apartment, 01 qt. for up to 04 people and 02 qt. 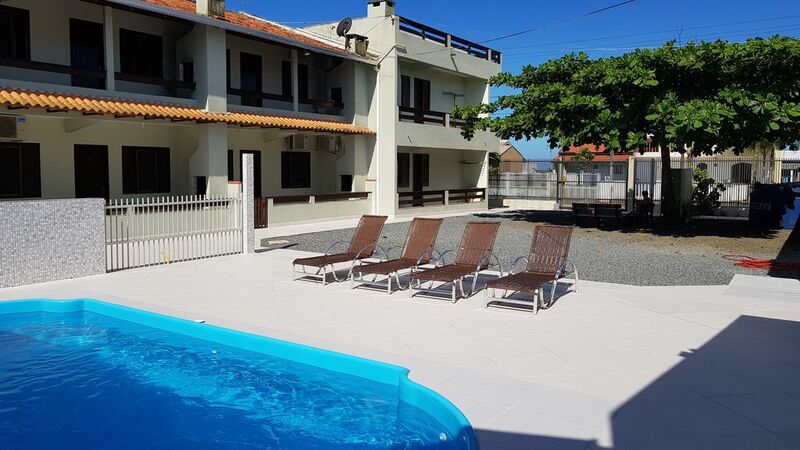 06 people (including children), all rooms with air, one with double bed and the other with 02 bunk beds, living room and kitchen, barbecue on the balcony, swimming pool in the condominium, closed parking with electronic gate, resort Itapema do Norte Cambiju), 100 meters from the sea and 1.2 km from the center, about 900 meters from the 3rd stone, family atmosphere, come to know Itapoá.